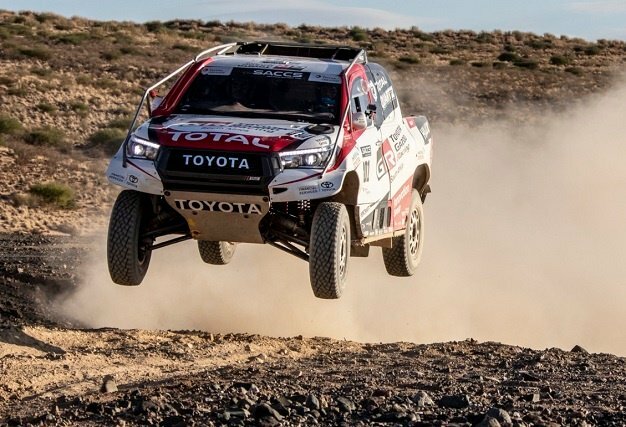 Toyota Gazoo Racing driver Fernando Alonso completed a two-day evaluation test at the wheel of a Dakar Rally-winning Toyota Hilux in South Africa from March 17-28. Toyota Africa organised the test in order for Fernando to experience rally raid for the first time. Former Dakar Rally winner Giniel de Villiers, a regular competitor for the team, acted as Fernando’s mentor throughout the test. The Hilux, which won the 2019 Dakar Rally in the hands of Nasser Al-Attiyah and Mathieu Baumel in January, is powered by a 5-litre V8 engine capable of delivering 288kW/620Nm. Fernando drove the car on two lay-outs around the desert, one of 8km and the other of 17km. 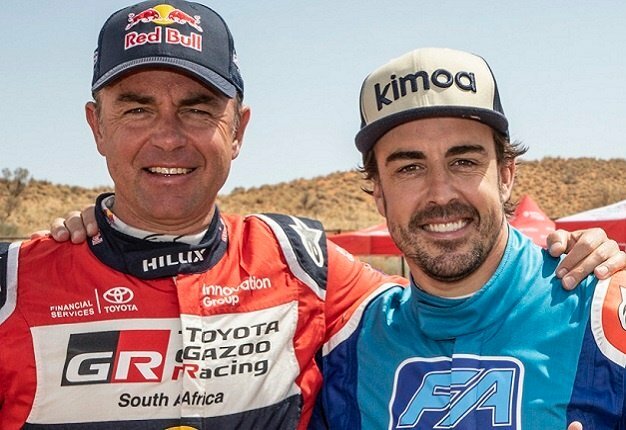 Alonso said: "I followed the Dakar and thanks to Toyota Gazoo Racing I had the opportunity to come here to South Africa to test the Dakar-winning Hilux. I have tested different series and different cars these past couple of years and this was a great chance. It has been fun; certainly different to what I am used to driving, but very interesting. We built up speed slowly, learning lap after lap." Alonso said: "It’s not easy to read the bumps and to know how much speed to carry but I became more confident each time. The Hilux feels great; it has good grip and balance, lots of power and impressive braking. It felt incredible to drive this car." Glyn Hall, Toyota Gazoo Racing South Africa Team Principle, said: "It has been a fantastic experience for the team to work with a driver of Fernando’s calibre. It’s easy to see why he has enjoyed so much success in circuit racing; he was very well prepared for this test and made a huge effort to learn as much as possible in the two days. Hall said: "Rally raid is a totally different discipline compared to circuit racing but Fernando made impressive progress and looked like he had a lot of fun in the process. I am proud that he chose to test a Toyota Hilux in South Africa and I hope it was a worthwhile experience for him."